We’re getting a well deserved chance to dry out this week and that has mostly come with cloudy skies but nice temperatures. That trend is poised to continue today as we’ll have one more day of pleasant temperatures. Another morning where you might We’ll still be under the influence of high pressure but it’s starting to move off to the northeast and that means we’ll see a touch more heat and humidity filter back into the region. Today that will happen fairly slowly. It will be another day of mostly cloudy skies, however. Temperatures will rise into the upper-70s to near 80º. 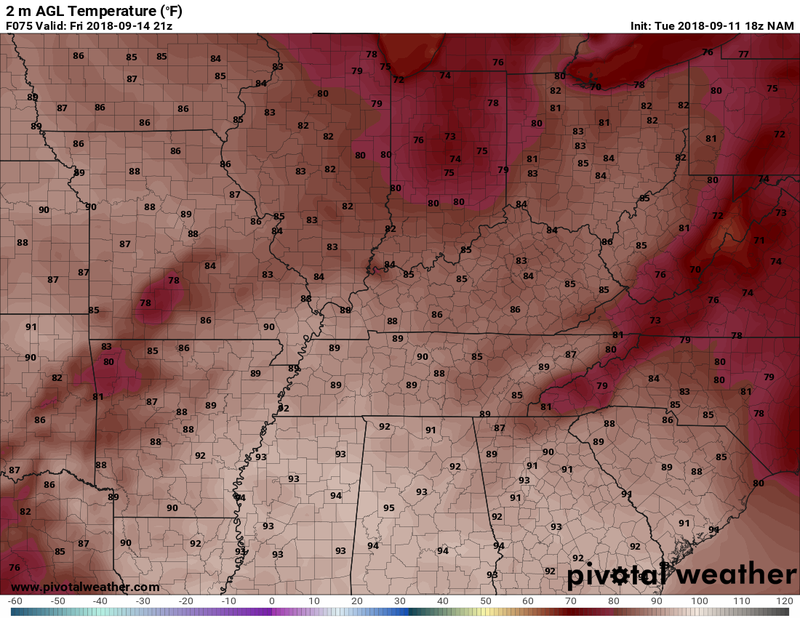 Dew points will rise into the mid-60s, which is just fine for me. Not too humid, but still feeling good. Overnight lows will fall back into the mid-60s, to the point you may not even need the jacket for Thursday morning. Upper ridging will stay in place to close out the week and this will mean more sunshine and warmer temperatures as we head into tomorrow. Temperatures will make a run at the upper-80s tomorrow afternoon with more sunshine around the area. 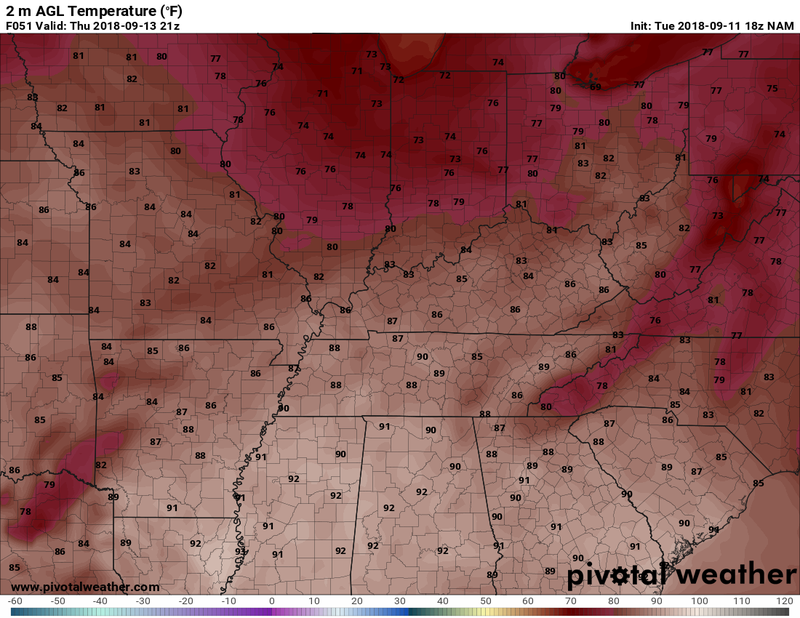 A humid high topping out right around 86º. Definitely a day you want to leave the sweatshirts at home. Skies look to clear out overnight, dropping the low to only about 70º. We’ll do it all again to close the week. Skies will remain mostly sunny and temperatures remain warm, with upper 80s likely once again. Another humid high around 87º. Headed into the weekend, things look much the same. It will be interesting to see what, if any, effects we feel from Hurricane Florence. The powerful storm will make landfall early Friday morning along the Carolina coast as a category 3 or 4 storm. This is likely to cause significant and dangerous impacts in the Carolinas and will inland as well as forecast model guidance slows the storm down and dumps excessive rain on the region. It’s possible we could see some high clouds and some rainfall from Florence’s remnants closer to the start of next week.